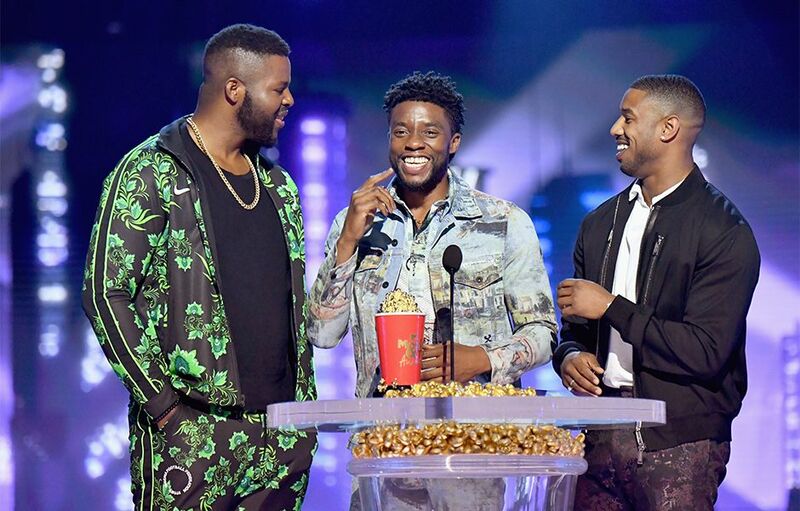 "Black Panther" castmates Winston Duke, Chadwick Boseman, and Michael B. Jordan accepted the award for Best Movie, one of four wins for the film at the 2018 MTV Movie & TV Awards. Emma Watson, Josh Gad and director Bill Condon accept the 2017 Movie of the Year Award for ‘Beauty and the Beast,' making us all want to belt out in song. Fans raise their lightsabers to congratulate writer/director J.J. Abrams and leading lady Daisy Ridley as they accept the Movie of the Year Award for ‘Star Wars: The Force Awakens’ during the 2016 MTV Movie Awards. 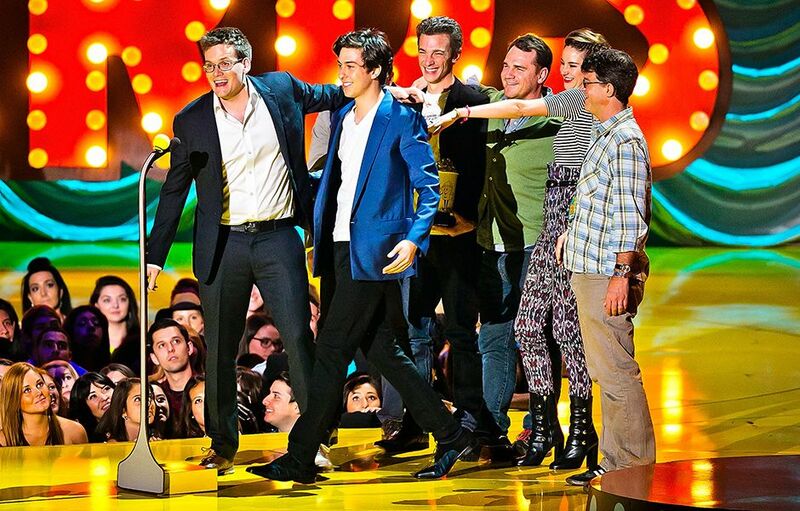 John Green, Nat Wolff and Shailene Woodley photographed on stage while accepting the Movie Of The Year award for "The Fault in Our Stars" at the 2015 MTV Movie Awards. 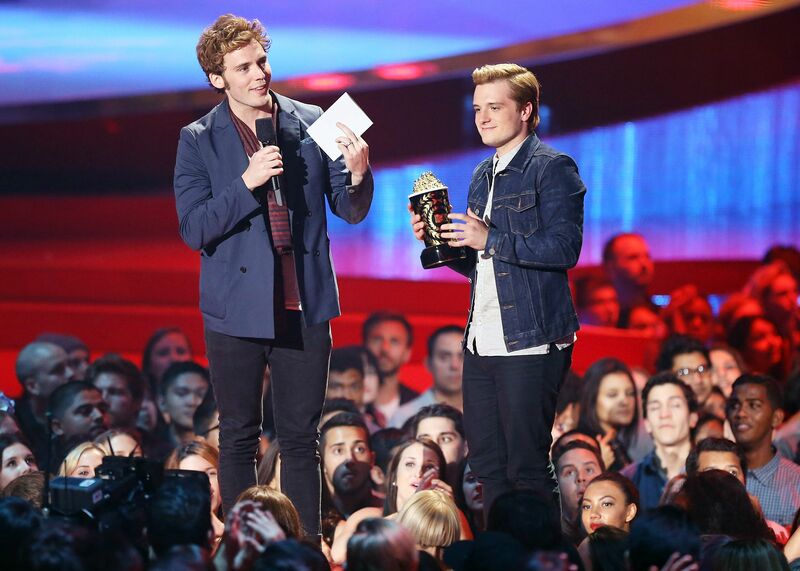 Sam Claflin and Josh Hutcherson photographed on stage while accepting the Movie Of The Year award for "The Hunger Games: Catching Fire" at the 2014 MTV Movie Awards. 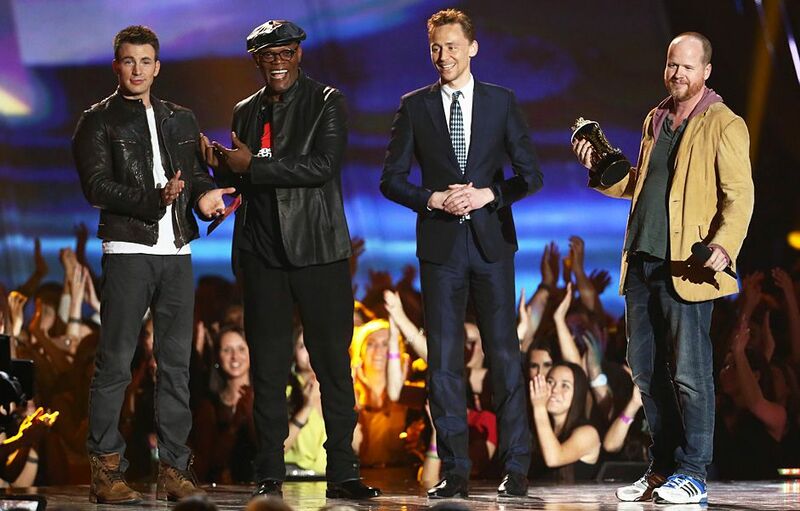 Chris Evans, Samuel L. Jackson, Tom Hiddleston and Joss Whedon photographed on stage while accepting the Movie Of The Year award for "The Avengers" at the 2013 MTV Movie Awards in Los Angeles. Taylor Lautner, Kristen Stewart and Nikki Reed photographed on stage while accepting the Movie Of The Year award for "Twilight Saga: Breaking Dawn - Part 1" at the 2012 MTV Movie Awards in Los Angeles. The cast of "The Twilight Saga: Eclipse" photographed on stage while accepting the Movie Of The Year award at the 2011 MTV Movie Awards in Los Angeles. The cast of "The Twilight Saga: New Moon" photographed on stage while accepting the Movie Of The Year award at the 2010 MTV Movie Awards in Los Angeles. Catherine Hardwicke, Robert Pattinson, Kristen Stewart and the cast of "Twilight" photographed on stage while accepting the Movie Of The Year award at the 2009 MTV Movie Awards in Los Angeles. Michael Bay and Megan Fox photographed on stage while accepting the Movie Of The Year award for "Transformers" at the 2008 MTV Movie Awards. 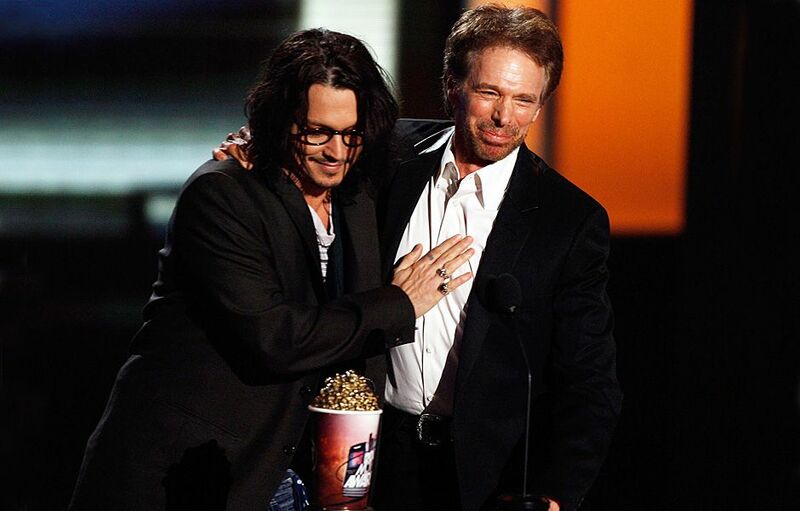 Johnny Depp and producer Jerry Bruckheimer photographed on stage while accepting the Movie Of The Year award for "Pirates of the Caribbean: Dead Man's Chest" at the 2007 MTV Movie Awards. 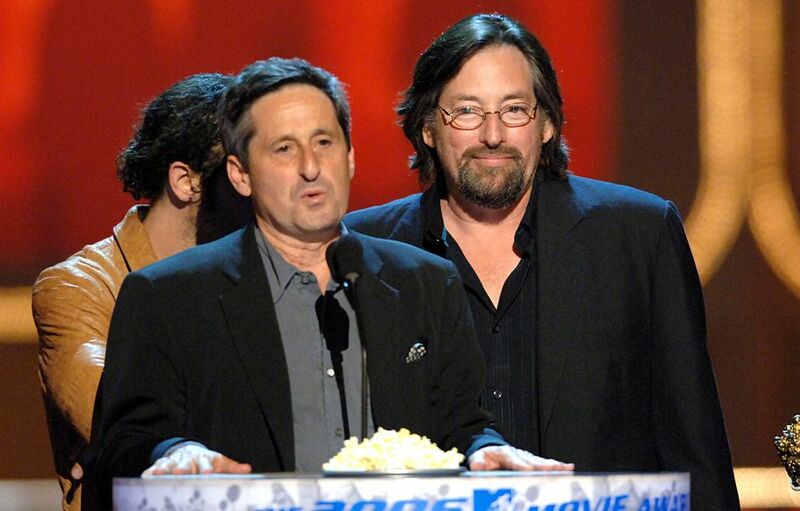 Peter Abrams and Robert L. Levy photographed on stage while accepting the Movie Of The Year award for "Wedding Crashers" at the 2006 MTV Movie Awards. 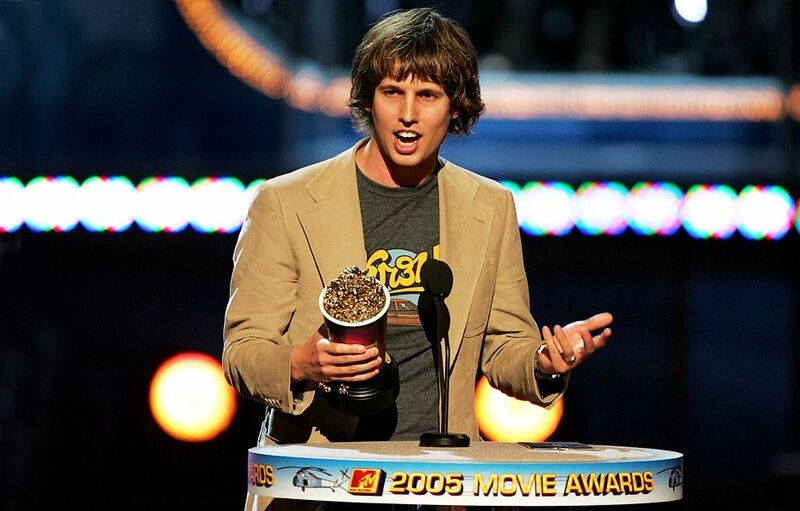 Jon Heder photographed on stage while accepting the Movie Of The Year award for "Napoleon Dynamite" at the 2005 MTV Movie Awards. 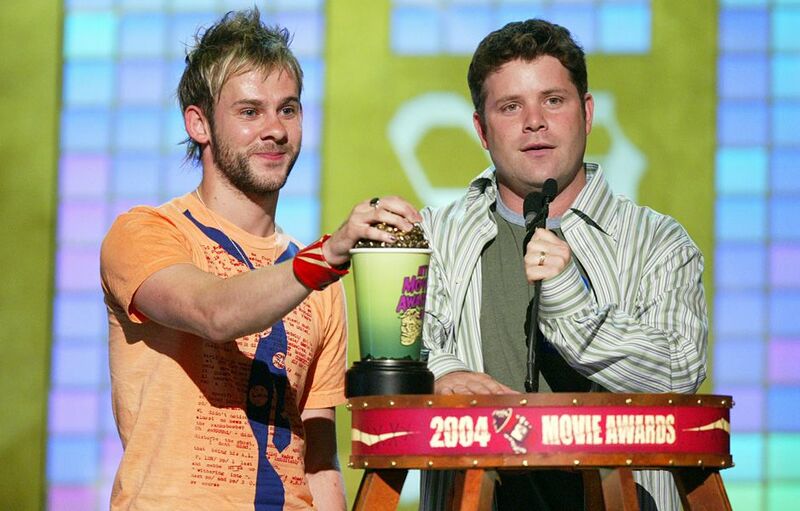 Dominic Monaghan and Sean Astin photographed on stage while accepting the Movie Of The Year award for "Lord Of The Rings: The Return Of The King" at the 2004 MTV Movie Awards. 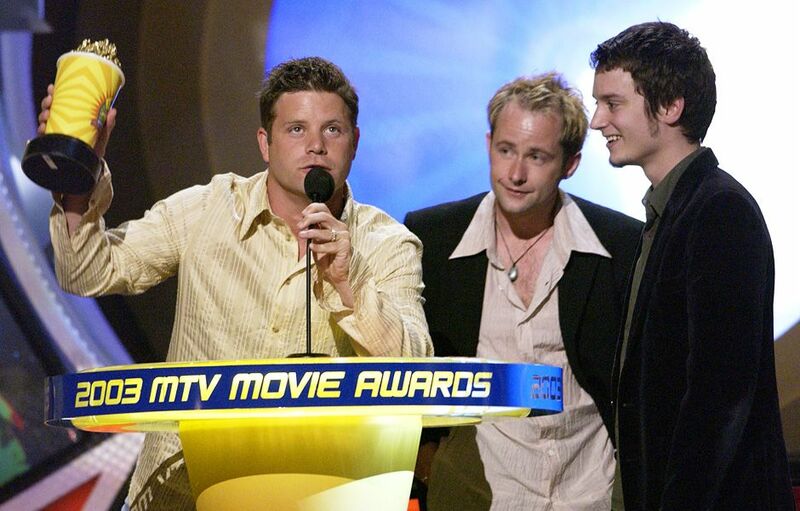 Sean Astin, Billy Boyd and Elijah Wood photographed on stage while accepting the Movie Of The Year award for "Lord Of The Rings: The Two Towers" at the 2003 MTV Movie Awards. 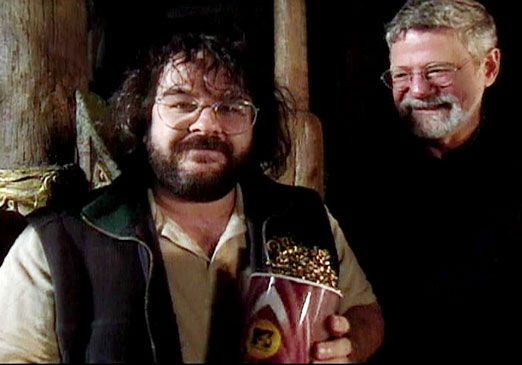 Peter Jackson and Barrie M. Osborne photographed on stage while accepting the Movie Of The Year award for "Lord of the Rings: The Fellowship of the Ring" at the 2002 MTV Movie Awards. 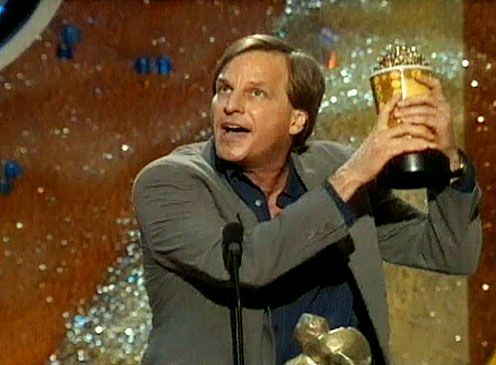 Producer Douglas Wick Osborne photographed on stage while accepting the Movie Of The Year for "Gladiator" at the 2001 MTV Movie Awards. Joel Silver, Jon Gaeta, Carrie-Anne Moss and Keanu Reeves photographed on stage while accepting the Movie Of The Year award for "The Matrix" at the 2000 MTV Movie Awards. 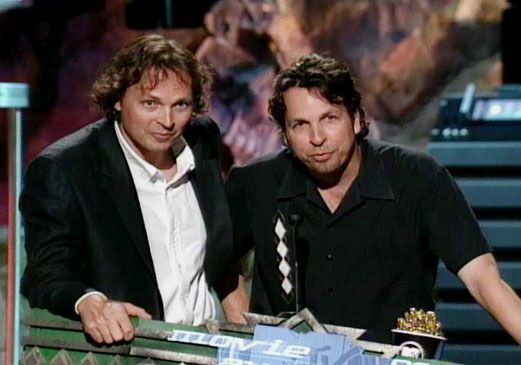 Bobby and Peter Farrelly photographed on stage while accepting the Movie Of The Year award for "There's Something About Mary" at the 1999 MTV Movie Awards. 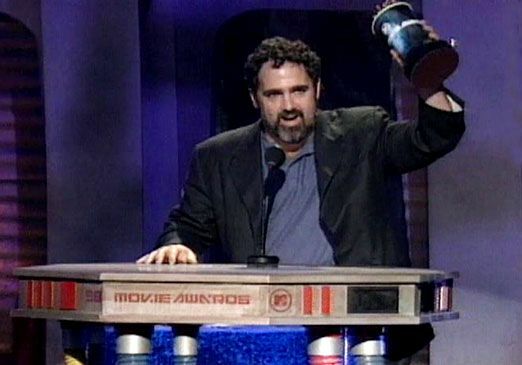 Jon Landau photographed on stage while accepting the Movie Of The Year award for "Titanic" at the 1998 MTV Movie Awards. 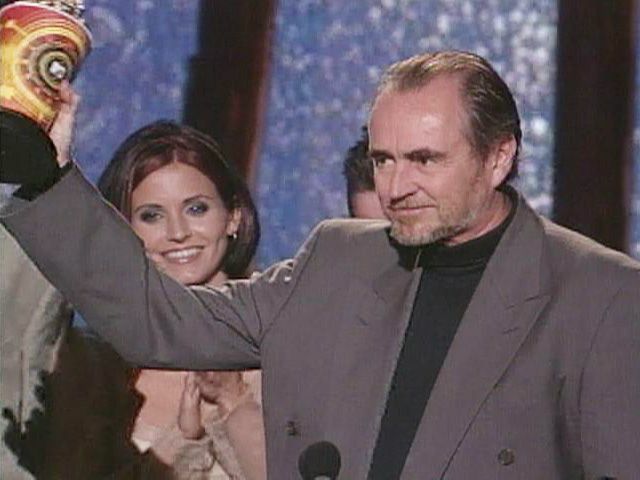 Director Wes Craven photographed on stage while accepting the Movie Of The Year award for "Scream" at the 1997 MTV Movie Awards. 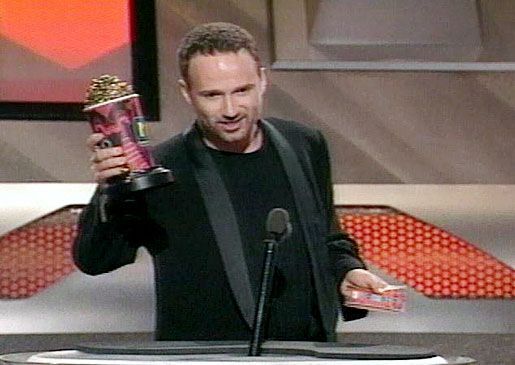 Director David Fincher photographed on stage while accepting the Movie Of The Year award for "Seven" (Se7en) at the 1996 MTV Movie Awards. 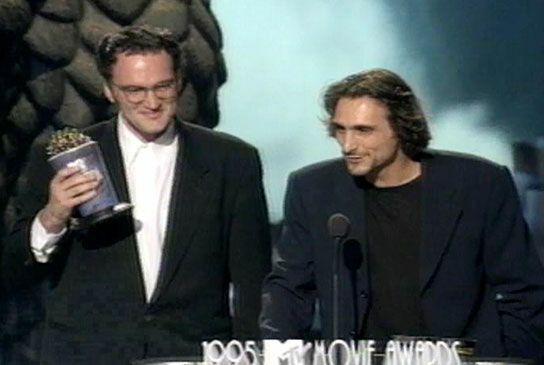 Director Quentin Tarantino and Lawrence Bender photographed on stage while accepting the Movie Of The Year award for "Pulp Fiction" at the 1995 MTV Movie Awards. 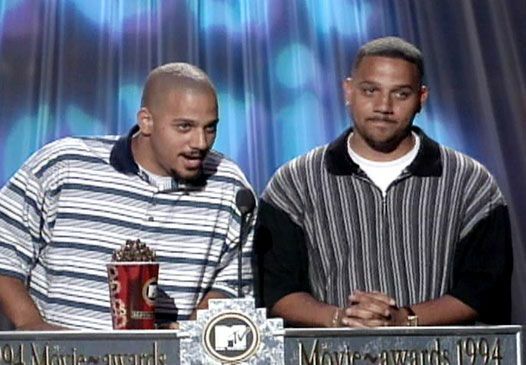 Directors and brothers Albert and Allen Hughs photographed on stage while accepting the Movie Of The Year award for "Menace II Society" at the 1994 MTV Movie Awards. 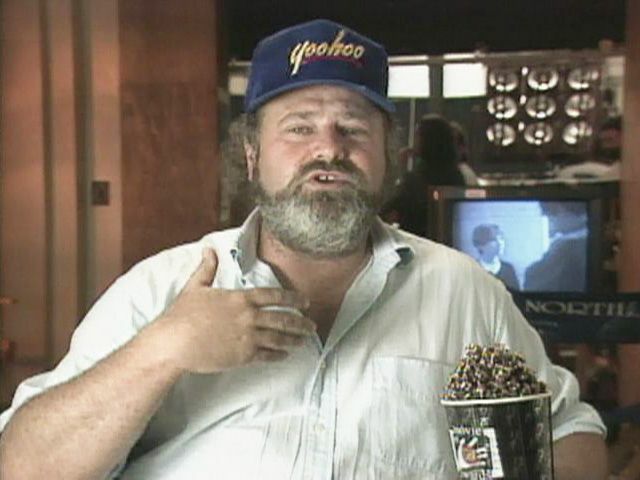 Director Rob Reiner accepts the Movie Of The Year award for "A Few Good Men" at the 1993 MTV Movie Awards. Director James Cameron and cast members Edward Furlong, Linda Hamilton, Robert Patrick and Arnold Schwarzenegger photographed on stage while accepting the Movie Of The Year award for "Terminator 2: Judgment Day" at the 1992 MTV Movie Awards.